Trassig means a determined child in Norwegian. We are a commercial playground company with a passion for play. We take playground components made by the best people in the business and add a unique touch of our own creativity and experience. We then offer all the ancillary services that a playground requires, from installation, to safety surfacing, to inspections and maintenance. We have a unique business model in this industry: we stock playground components. We apply the economy of scale in purchasing our equipment, which we stock in our warehouse in New Milford. This means you can have your set ready to pick up or ship in days. This also allows us to offer an unprecedented price guarantee on our composite play sets: if you find the exact same set anywhere else, we will sell it to you at a 10% discount of the competing price. We look forward to working with you on you next playground project. From our humble beginning back in 1992 as a family venture in a small shed with two employees, to our current facility with over 30,000 square feet, we’ve maintained one core philosophy— Build a safe, strong set that will last for years and sell it at a reasonable price. It’s been over 21 years, and we’re still family owned and operated, but now we have lots of help! Over the years, we’ve developed new designs to keep up with the ever-changing demands. We’ve also pioneered engineering feats, including a patented steel bracket system and thru-bolt construction—both exclusive to Eastern Jungle Gym. Today it’s more important than ever to keep your children healthy and happy. There’s no better way than to get them outside playing! We thank you for considering an Eastern Jungle Gym swing set and hope that we can help your family start creating their own childhood memories! 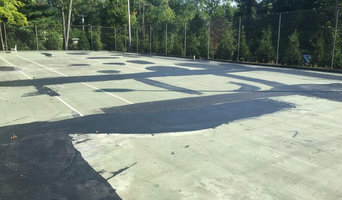 RS Site and Sports specializes in Athletic court repair, resurfacing, maintenance and construction including tennis , pickle ball and basketball courts. Online retailer of outdoor playhouses, kids playhouses and luxury cottages. Creative Computer Solutions Of CT, LLC 85 Padanaram Rd. Danbury, CT 06811, United States 203-748-2669 <a rel="nofollow" target="_blank" href="http://www.ccs-ct.com/">http://www.ccs-ct.com/</a> If you’re looking for a computer repair company that will get the job done quickly and efficiently, Creative Computer Solutions of Connecticut, LLC is the company you should call. As the leading provider of computer maintenance and IT solutions in the Danbury area, Creative Computer Solutions caters to tech users of all proficiency levels. Whether you’re an individual with at-home tech needs or a small business that needs help with data recovery, the staff at this IT company is dedicated to providing you with computer solutions that really work. Creative Computer Solutions has been delivering high quality and cost effective IT solutions to the Danbury area since its inception in 1999. Their staff of IT professionals is equipped with the knowledge and skill-set necessary to take on any tech project or job you ask of them. In fact, they’ll handle each and every aspect of your technological needs, from project management assistance to the completion of security audits. As a customer-focused company, Creative Computer Solutions is completely committed to making each user experience functional and easy to understand. When you approach them with a tech problem, they’ll help you through each step and always make sure you’re up to speed on how the job is coming along. To learn more about IT solutions, network design, and general computer maintenance, give Creative Computer Solutions of Connecticut, LLC a call at (203) 748-2669, or visit them online. Outdoor play system professionals design and build custom playhouses, playsets and other equipment, and also install prefabricated kits. They can design a playhouse to look like the main home or come up with a completely unique concept that suits the parents’ and kids’ fancies. 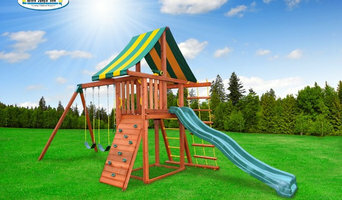 Because playset kits can be quite tricky and time consuming to assemble, many Connecticut homeowners hire professionals to handle the job both for convenience and for peace of mind with regard to safety and structural integrity. Here are some related professionals and vendors to complement the work of outdoor play systems: Backyard Courts, Landscape Contractors, General Contractors, Woodworkers & Carpenters. Find an outdoor play system professional on Houzz. 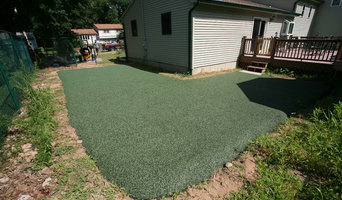 Narrow your search in the Professionals section of the website to West Hartford, CT outdoor play systems. You can also search farther afield for a pro who fits your project’s needs.